Even celebritries shop at Urban Ore from time to time. Not for the savings either! 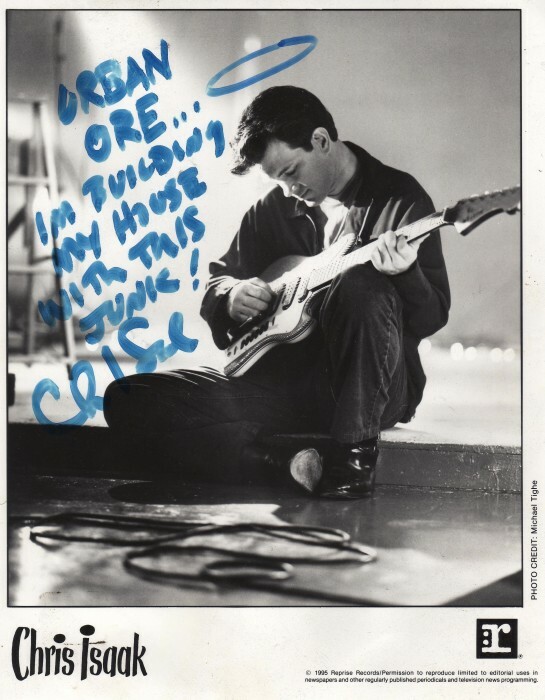 Celebrities like Chris Isaak have been known to haunt Urban Ore from time to time. How do we know? Because he signed a publicity photo that coincidentally a customer had dropped off months before! Read it for yourself. At last! Smnoeoe who understands! Thanks for posting!